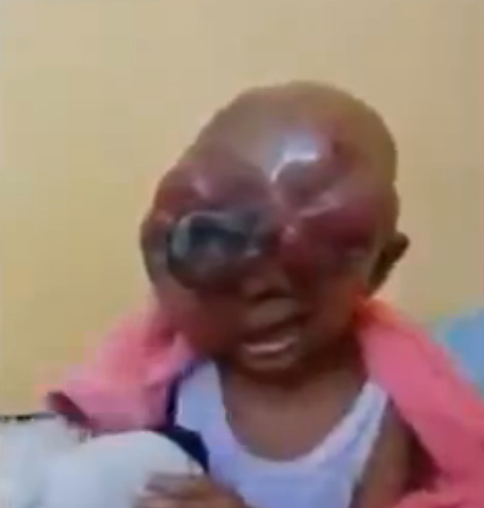 This poor child is going through hell, and there is little his parents can do to help him. According to the descriptions of the video the child is from a rural community in Thailand, and he is enduring no end of pain. The growth apparently started as a small lump on the boy’s cheek but, via a process known as metastasis, spread to other parts of his body. The spread has left him with open sores and infections, and the growth that is rapidly increasing in size around the boy’s head and face is seriously affecting his ability to speak or hear. It breaks your heart to hear him crying as he clutches at a teddy bear. Hopefully there is some way the boy’s parents can provide him with even the smallest level of comfort.